"Decide what you want and pore yourself into it." Isn't that a great quote?! This has been an incredible week go growth, understanding, and clarity. Clarity of what I want. As I continue on my journey I've realized that it's more than a journey, it's a a quest! A quest to transform my life into what I want it to be - and what I want to become. This past week I've learned that every day, week, month, etc are filled with trips, traps, and pitfalls; but it's how we respond to them can make or break your day, spirit, or even your meal plan. Not going to lie, some challenges are hard and require some real adulting. But many challenges are simply no more than "I want things my way" but the universe has other ideas. Which many equate to "a bad day". During our son's wake 11.5 years ago, someone asked me during Nick's life, what I learned from Nick (our special needs son). It took me no time to share that Nick never faced a road block, he was fluid like water, and always found a solution and just went around it - not avoiding, but found a way to work around obstacles. Did I mention he had an agragate IQ of only 68? Wow! Even to this day I often forget this life-lessons. Ok, so here's my point; this past week the family schedule could have thrown my fueling plan into a total tailspin, because 3 straight nights what I planned to have for my lean and green dinner got shot to the wind. There was no way I was going to be home to prepare my planned healthy dinner. So what's a girl to do??!! Always have a "Plan B"! Or as we call it, "Plan Q". Yep "Q" stands for Qdoba! Tuesday, Wednesday, & Thursday I had an amazing dinner with a different grandchild each evening at Qdoba. I chose to have a taco salad (no shell, beans, or rice), with double chicken, Pico, and dressing on the side, and lemon. So simple - so good - so empowering! Every day we are all faced with choices and challenges. As many of you know, my mom LOVES McDonald's. There's something about that red happy meal box, her plan double cheeseburger, small fries, and senior coffee (half/caf) that just makes her day! But taking her is also a challenge for me and keeping on my plan. Sometimes I just order a coffee and mix my hot coco fueling in - sometimes I may get a small side salad with a squeeze of lemon, but regardless what I choose I'm always visually tempted. Not to mention the continues offer of "here, want some of my fries"? "No thank you mom" I reply. I've adopted the "Stop, Challenge, Choose" method in so many aspects of my life now. When I'm faced with a challenge (food or otherwise), I STOP, assess my CHALLENGE, then CHOOSE the best option that will get me one step closer to my overall goal. Now that I totally understand that the choices I make WILL have an impact on my plan, I choose wisely! This applies not only to how I fuel my body, but in life choices as well. What's really cool is I've explained this to the grand kids and I've actually watched them put this practice into play when making choices. Wahoo! First week was a huge success! Even though there was a few very stressful situation I made it 100% and according to plan. We even went out to eat twice! One restaurant I'm very familiar with me and knew exactly what I would order; I think they may actually have a salad named after me by now. HAHAHA The second time was for a "siblings dinner" where all my husbands local siblings and spouses get together once a quarter. This time Mellow Mushroom was chosen, a restaurant I was unfamiliar with. So I looked at the menu online, narrowed down a couple of options, called the restaurant for further clarification, and made my choice. So when we arrived I didn't even have to look at the menu (which avoided temptations). I knew I was ordering Regular Caesar Salad, with a full side order of Chicken (6 oz), no croutons or cheese, and vinaigrette dressing on the side. They made it exactly as I ordered and it was delicious but the best part. . . . . I felt victorious, empowered and in control!!! Had several errands with my mom yesterday. 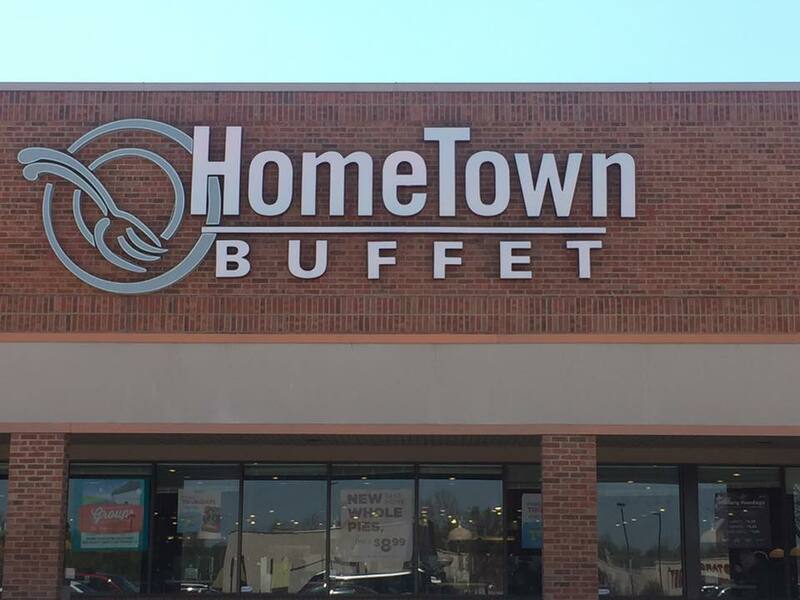 One of them was to Kohl's, which is next to Hometown Buffet; one of moms favorites. Now that I'm back on my journey, I gotta admit, my knees buckled a little, started to panic a little, cause I know what I was about to face. . . . I put on my blinders, got moms food, then got my lettuce with Salsa because all protein options were either fried or sauces. I'll enjoy my protein later tonight at home with family. Thursday is know as "Granny Day", because after I take mom to the beauty parlor (yes, I said "parlor"), some or all the g-kids go with us to McDonald's for lunch. This has been a stumbling block for me on my journey. I always take a fueling with me, usually the hot coco which I mix with decaf coffee. Today I figured if I keep my arms folded I can't reach for nibbles. I have been off my program for many months, ok - more like almost 3 years. I've used a lot of life's trials and tribulations as excuses to allow my healthy lifestyle to slowly slip away; and a lot of my original weight loss (220 lbs) has made it's way back. I'm making these posts to document my "re-newed" journey as my own personal journal. I know how important accountability and a supportive community is in any form of progress - health or otherwise. So here WE go! (and by "we" I mean that as collective/supportive/community)!